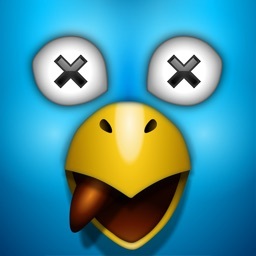 Delete Tweets: Keep Or Delete your tweets like "Tinder"
Delete Tweets: Keep Or Delete your tweets like "Tinder". 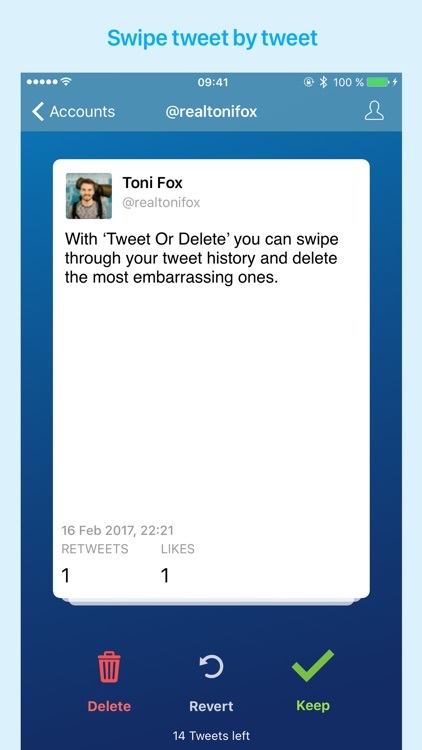 Keep Or Delete is the easiest way to get rid of old tweets. 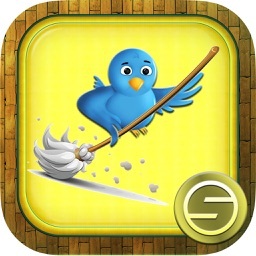 Just sign in with your Twitter account and start swiping. 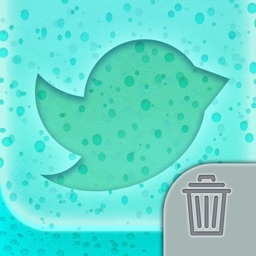 Swiping left indicates, that you want to delete the shown tweet. 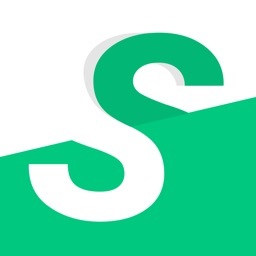 By swiping right, you indicate that you want to keep the tweet. It’s that easy. Sometimes your fingers move faster than you can think about them. 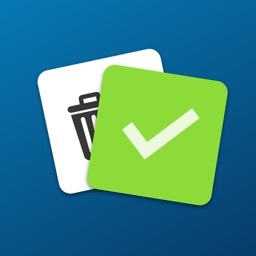 Setting up a deletion delay will enable you to revert previous actions up to 5 minutes. Deleted a tweet you wanted to keep? – No problem, you can simply revert it by using the revert button or the deletion log in the settings. There’s no need to login every time you open the App. 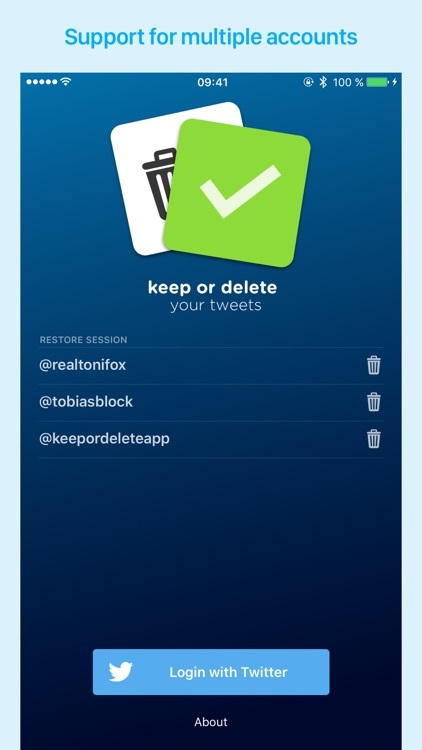 Each and every of your Twitter accounts will be stored in the App so you can continue swiping at any time. 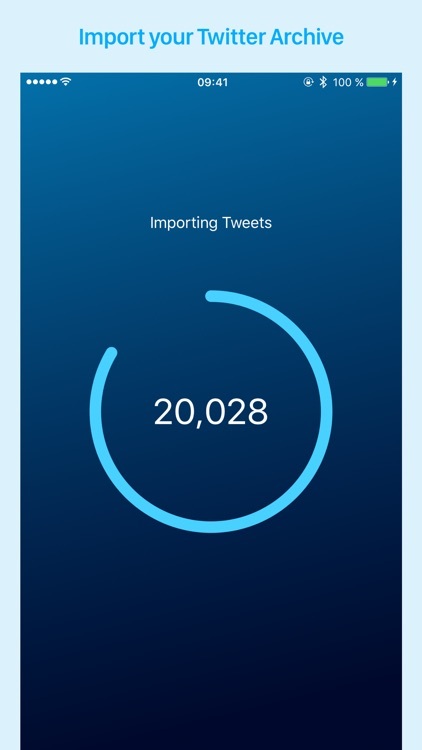 Import your Twitter archive to import all your tweets. 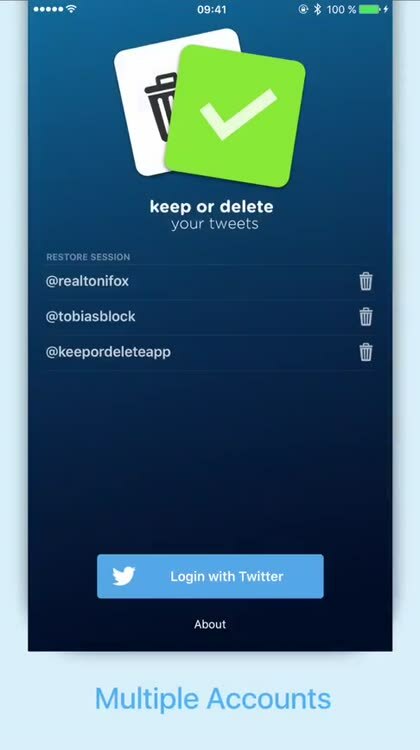 This will give you new options in the App settings. 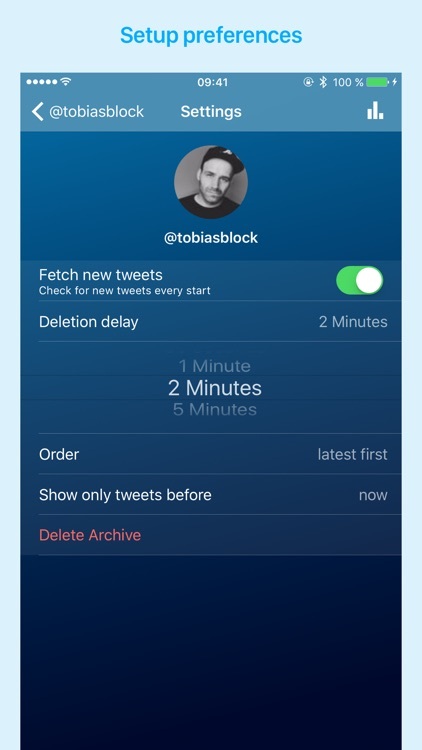 You can now order your tweets or define a period to just show tweets in a given time frame. 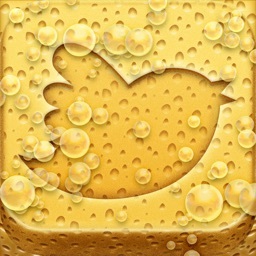 Unfortunately, Twitter only allows you to view or delete your last 3.200 tweets. If you want to gain access to all your tweets, you can simply import your twitter archive. A Twitter account and internet connection is required.